Demon Beast Delivery is a Kirby fangame by Friendly Dictator. 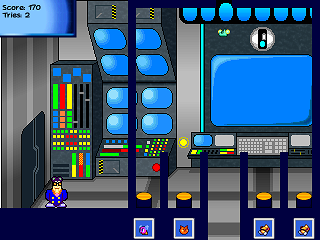 It was his entry for Minigame Competition #10, the theme of which was "2 buttons only." The player is Customer Service of Holy Nightmare Co. (From the Kirby anime), and they have to use the arrow keys to move the demon beasts to the teleporters that go to the people that want them.